Born October 1 April 1992. Her full name is Daisy Jazz Isobel. From a young age she was interested in acting. She studied Performing Arts at Tring Park School in Hertfordshire, graduating in 2010. In 2013 she began appearing in episodes of several British TV series like 'Casualty', 'Youngers' and 'Toast of London' and starred in several short films. After also appear in fictions like 'Silent Witness' and' Mr. Selfridge '. In 2015 she debuted on the big screen with the horror film 'Scrawl', which it was shown at festivals such as Louisville, Kentucky (USA). 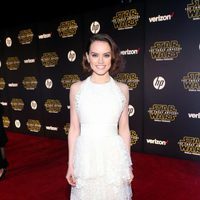 But her career has taken off since J.J. Abrams would bet for her to protagonizase the new trilogy of Star Wars as Rey, the heroine of 'The Force Awakens'. She has also dubbed into English of the masterpiece of the Japanese animation Studio Ghibli, 'Only Yesterday', she was putting her voice to the main role: Taeko Okajima, a 27-year-old woman who she's visiting family in town while she has questions about her future. 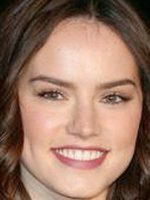 Daisy Ridley has been active for 5 years, participating in 9 movies that average a 6.7/10 score.